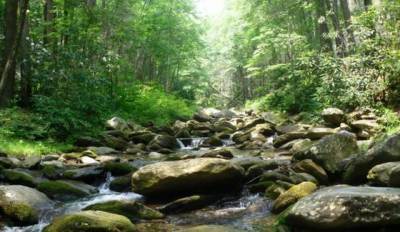 MountainTrue Forest Keepers: Become the eyes, ears and helping hands of NC’s forests! Forest Keepers’ work begins at the intersection of environmental science and environmental stewardship. Join us for volunteer workdays, skills workshops and seminars, community science projects, and to network with others who are committed to protecting and maintaining these beloved forests. We’ve worked with the U.S. Forest Service, the USDA Forest Service Southern Research Station, the NC Wildlife Resources Commission, the National Park Service, Southern Appalachian Highlands Conservancy, WildSouth, and the Appalachian Trail Conservancy. – BeeCity USA & the Great Sunflower Project – help keep Asheville a pollinator-friendly city! If you have any questions or are interested in any of these projects, please email MountainTrue’s Community Engagement Manager Susan Bean at susan@mountaintrue.org or our Forest Keeper Coordinator Rose Bruce at forestkeeper@mountaintrue.org.